Hypoxic-ischemic encephalopathy (HIE) is a usually preventable birth injury. Pregnancy and birth doctors should be aware of the signs and symptoms before, during, and after delivery so they can take preventive measures. The condition occurs when the brain is deprived of oxygen or blood. Hypoxia is a medical reference to the brain and the organs. Ischemia pertains to low blood flow. Encephalopathy means the damage that is caused by the lack of oxygen or blood. If HIE is suspected, doctors should treat it as quickly as possible to minimize the damage. At Harris Lowry Manton, LLP, our Atlanta HIE lawyers fight for families when doctors make mistakes. Our lawyers review your child’s medical diagnosis and the root causes with medical professionals who can explain what caused your child’s birth injury, and what treatments can help. Our firm includes top-tier trial lawyers who have obtained some of the highest verdicts in the state. In one illustrative case, one of our partners, Jed Manton, was the counsel on a case where low blood flow through an umbilical cord was mishandled. A jury awarded $30.5 million to a mother and her child who was born severely and permanently brain-damaged because of medical malpractice. The newborn suffered hypoxic brain injury due to the delay and failure to perform a C-Section, resulting in cerebral palsy, delayed development, and a seizure disorder that requires around-the-clock medical care. The jury held the doctor ¼ responsible and the medical center ¾ responsible. HIE is also known as birth asphyxia. It is an extremely dangerous condition. If the lack of oxygen or blood flow is severe enough, the newborn can die. Survivors often have significant damage to the brain, which can substantially impair functioning. Many children with HIE suffer learning and developmental disabilities, cerebral palsy, and seizures. Any brain trauma or brain malformation should also be inspected. Other symptoms include feeding and swallowing difficulties and coma. If HIE is suspected, diagnostic tests should be ordered, including CT scans, MRIs, EEGS, PET scans, and ultrasounds. Sometimes HIE is not immediately suspected. Doctors may not order the appropriate tests until the child’s inability to learn or function manifest themselves—sometimes as late as three or four years of age. Placenta or uterus difficulties. Problems can include rupture of the uterus, placenta previa, placental abruption, and placental insufficiency. Problems with the umbilical cord. Complications can limit the umbilical cord’s ability to transfer oxygen and blood. Some of the dangers include wrapping of the cord around the newborn’s neck, compression of the umbilical cord, and the dangerous situation in which the cord leaves the uterus before the baby. Maternal problems. These include maternal diabetes, preeclampsia, and alcohol or drug abuse during pregnancy. Birth position difficulties. A breech or a newborn with a large head can cause complications. Other medical errors include fetal monitoring failures, failure to recognize fetal anemia, non-treatment of elevated heart rate, and failure to treat infections. The need for a C-section and other prudent conditions should also be addressed. A new treatment for HIE that has shown promise is hypothermia treatment, also known as brain cooling. Parents expect that their child will live a healthy and happy life. 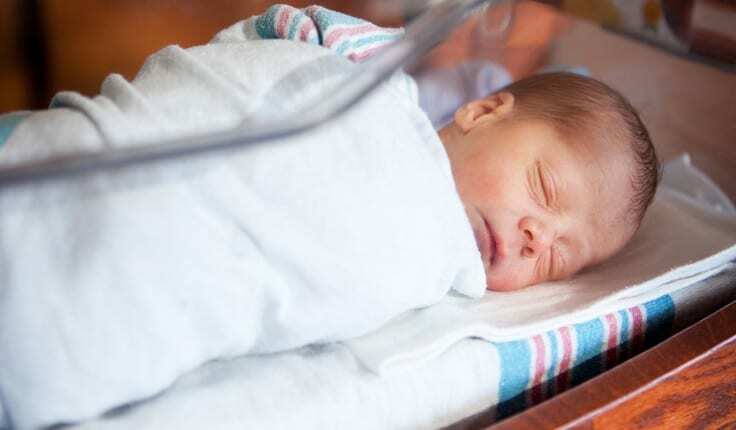 When a newborn suffers a birth injury due to the negligence of a doctor, nurse, or hospital, the results are devastating for the mother, father, and the child. At Harris Lowry Manton LLP, our Atlanta and Savannah HIE attorneys have the experience and resources to bring medical malpractice claims. For help, guidance, and care, please call our offices. We can be reached in Atlanta at 404.998.8847 and in Savannah at 912.417.3774. Parents can also make an appointment through our contact form.